This weekend in Washington, DC, AIPAC will descend upon the nation’s capital with tens of millions of dollars and hundreds of activists to promote its line: unconditional US support of the Israeli government, including backing up its insane threats to attack Iran. Most of you probably already know why AIPAC is so dangerous, but just in case, Medea Benjamin has compiled this Top Ten List of reasons why. But, like last year, they won’t be alone. 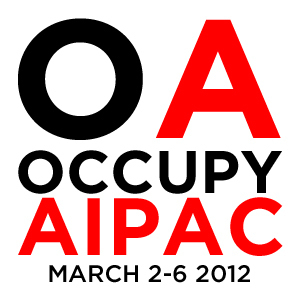 Occupy AIPAC will take place at the same time, bringing hundreds of activists, academics, students, writers, and other supporters of peace and justice for all in the Holy Land. The schedule is packed with inspiring speakers and actions both at AIPAC’s venue and on Capitol Hill. Until the end of March, I’ll donate 20% of all income from my book, Fast Times in Palestine, to the organizers of Occupy AIPAC. 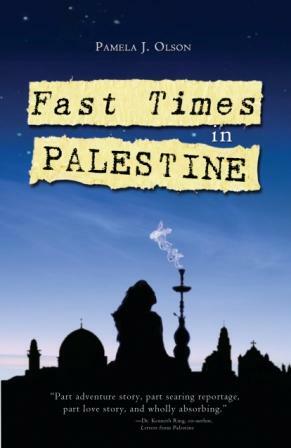 During the Occupy AIPAC conference — on Saturday and Sunday, March 3 – 4 — I’ll be giving away eBook copies of Fast Times on the Amazon Kindle website. Everyone is encouraged to download a copy for free (it’ll be available at this link on March 3 and 4), and if you find it to be a useful way to introduce friends and family members to the beauty of Palestine and the almost indescribable injustice of occupation, you are welcome to suggest or gift it through the rest of March, which will result in a larger donation to Occupy AIPAC. The eBook is currently only $2.99. Finally, here’s my first-ever attempt at Youtube-ifying myself. It’s a short reading from Chapter 2. Please feel free to grab your free Kindle copy here on March 3 and 4! A friend and fellow Stanford physics grad, Fadi Quran, a Palestinian with US citizenship, was pepper sprayed in the face, thrown against a Jeep, dumped on the ground, and arrested on Friday, February 24, his 24th birthday. The Israeli soldiers who did this to him accused him of assaulting a soldier, even though video evidence from at least two angles contradicts this. It happened in Hebron, a Palestinian city whose heart has been nearly emptied of tens of thousands of Palestinians so that 500 settler fanatics can have the run of the place guarded by 2,000 Israeli soldiers. It is truly one of the most surreal scenes in the world, a post-apocalyptic ghost town sprayed with racist and violent anti-Arab graffiti. The main commercial street of Hebron, Shuhada Street, was closed to Palestinians after an American settler named Baruch Goldstein massacred 29 Muslims at worship in the nearby Ibrahimi Mosque in 1994. You heard right – the settlers were effectively rewarded by the Israeli government for committing a massacre. One of the soldiers yelled again, “Go back!” and immediately grabbed him violently. Another soldier sprayed him in the eye with pepper spray. They then bum-rushed him to their army Jeep and threw him on the ground next to it, banging his head against the rear bumper on the way down. They stood over him while other soldiers started roughing up the people trying to record this event. This post at The Atlantic shows two videos of the event from two different angles. It’s obvious from the videos that the charge against Fadi is not only untrue, it’s completely backwards. As usual, though, evidence doesn’t matter when it comes to Palestinians. Soldiers can do what they like to Palestinians, charge them with whatever they like, throw them in jail however long they like. It doesn’t have to be true. Doesn’t even have to make sense. All they have to do is say it. Under Israeli military law, they can hold Fadi for as long as they like — forever if they want to — without charging him with any crime or, if they do charge him, without giving him a public trial (or any trial at all). Luckily in Fadi’s case, it seems he will be released on bail due largely to the fact that thousands of people, including “Noam Chomsky, Stanford Middle East professors Joel Beinin and Khalil Barhoum, and Director of the Martin Luther King, Jr. Research Institute Clayborne Carson,” signed petitions and joined Facebook pages demanding his release. 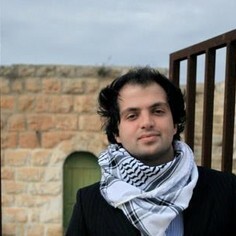 I spoke with Fadi last time I was in Ramallah, and he had no illusions. He knew very well that he may be beaten, arrested, financially ruined, or killed for nis non-violent resistance to occupation. So when I saw the videos of soldiers assaulting and arresting him, I can’t say I was surprised, and he probably wasn’t surprised, either. He knows the reality. But it’s still sickening that so many people are forced to endure such pain and indignity merely to try to regain their fundamental human rights, their only weapons being cameras to record it, reporters to report it, and the conscience of the world. If anyone ever again dares to ask, “Where’s the Palestinian Gandhi?” I hope you will tell them about Fadi, one of thousands of Palestinian Gandhis. Unfortunately, the vast majority of Palestinian prisoners, many of them committed non-violent activists like Fadi and/or imprisoned for reasons just as bogus, are not Stanford graduates, not as networked, not profiled in TIME Magazine. Hundreds of Palestinian Gandhis still languish in Israeli jails with no timeline for their release, no hope of a fair trial. Khader Adnan, another Palestinian jailed without charge or trial, recently ended an unbelievable 66-day hunger strike in exchange for Israel agreeing to let him go after “only” four months of detention without due process. He was willing to get dangerously close to death, which garnered worldwide media attention in the last days of his hunger strike, to defend his dignity and basic rights as a human being. And if he hadn’t, he might have been jailed for life with no legal recourse whatsoever. This is just another tiny slice of what occupation means for millions of people. If you would like to learn more about the situation in Israel and Palestine and how to impact it positively, and you live in the Bay Area, a conference called Breaking the Barriers to a Just Peace in Israel/Palestine will be held in Sunnyvale on March 24-25, hosted by Friends of Sabeel. (Sabeel is a grassroots Palestinian Christian movement for peace, justice, and freedom.) The exciting program will include many fabulous speakers, some of whom are friends of mine, including Palestinian entrepreneurs. I was thinking the whole time… Hmm… Where have I heard all of this before?? Well, OK, I wasn’t really thinking it, because it was perfectly clear: This is the same language Israel uses every time the UN tries to condemn its flagrant violations of human rights and international law. 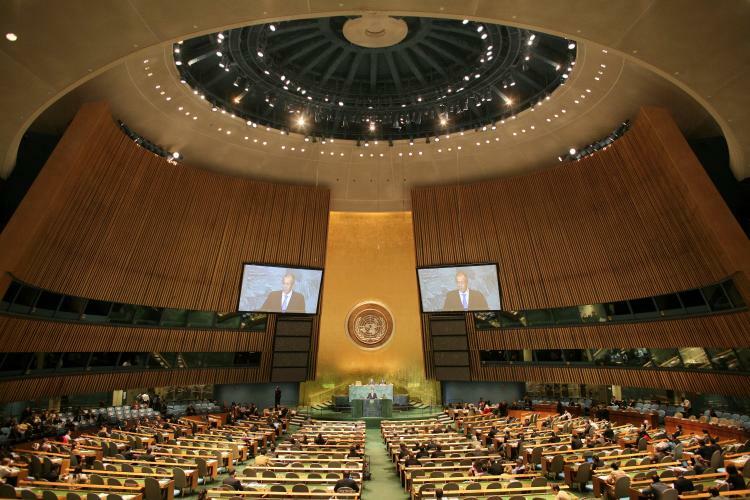 And then, of course, Israel voted for the resolution condemning Syria’s violations. Which is right and proper, of course. But the irony defies words. My Grampa died last week. Melvin Ray “Red” Reavis. He was called Red because he had a red face as a baby. 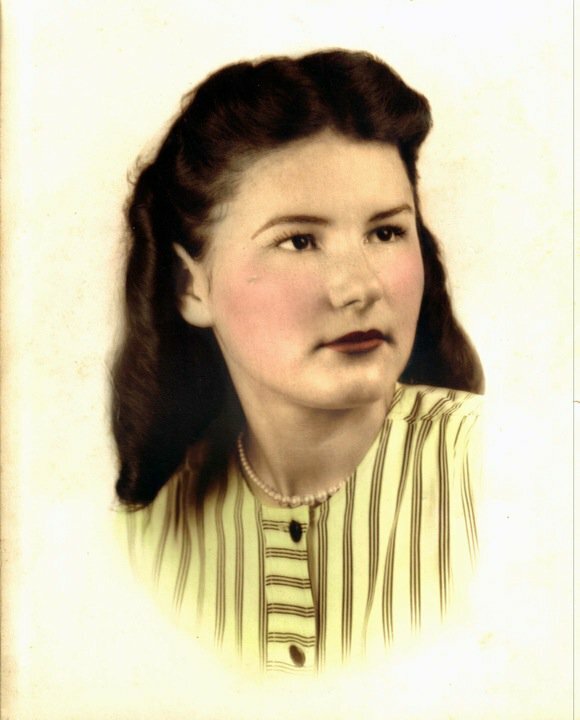 My Grandma is called Pat (even though her name is Virginia) because she also had a red face as a baby. So it’s no mystery where my pink cheeks came from. 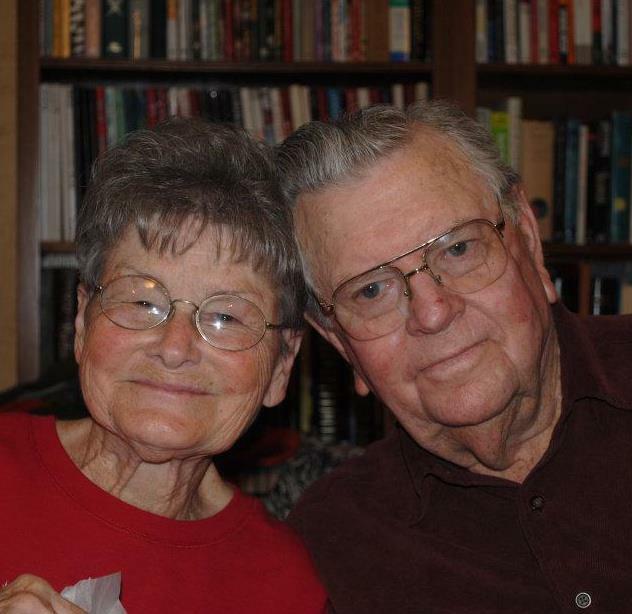 They were married 64 years. Twice as long as I’ve been alive. Few people ever have such a privilege. I can’t imagine what it’s like to lose it. I’m still processing the sadness at losing him and the gratitude I feel for having him in our lives for so long. It still doesn’t make sense. Just a few days ago we could visit him, hear his stories, his laugh, his self-taught fiddle playing, his opinion about the weather or random goings-on in town. 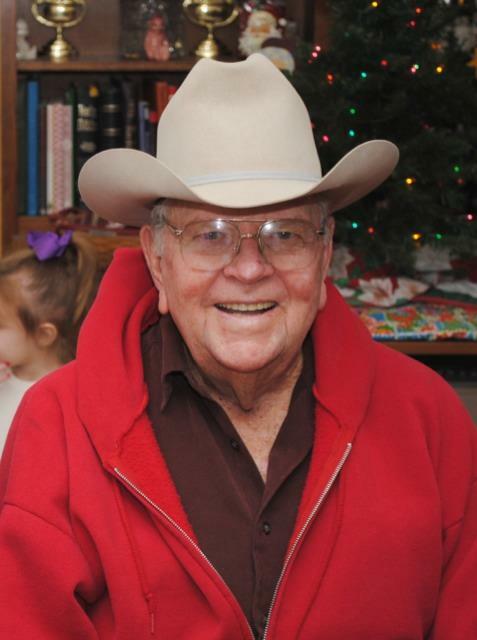 He’d be sitting in his easy chair watching Bonanza or out at the new McDonald’s with its views of oak trees and cattle pastures with Grandma drinking coffee. There was little warning. He was having some heart problems, but after preliminary testing, he told everyone the doctor said he had the heart of a 45-year-old. He knew this wasn’t true, and that the next tests might kill him. But he just made jokes about how he dreamed Mexican banditos were after him while he was under anesthesia, and we didn’t find out the truth until it was too late. He was no doubt trying to be noble, didn’t want anyone to make a fuss. It was just his time to slip quietly out of this world. But so many of us wish we had called, or visited. We wished we had known it was anything but another routine doctor visit. I guess the lesson is to call or visit anyway. Because you really never know. My grandfather was a gifted, funny writer frequently published in Stigler’s newspaper. 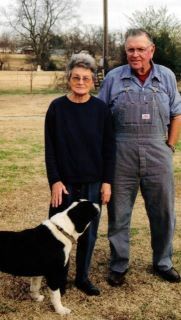 In Sept 2009, my mom gathered several of his stories into a book called Stories from the Pen of Melvin Reavis, which she published on Blurb.com. You can preview the book for free at the link, see some great old pictures, and read a few of his stories. Believe it or not I was born (and not hatched out of a stump from an egg laid by a passing buzzard) in a four room house that was set in the middle of Taloka Prairie. It was the last day of May in the year 1927. I was named by a bunch of cotton choppers and raised by one of the busiest farmers you ever saw. I say this because I was number 10 in a family of 11, and he farmed over 350 acres of cotton, corn, and oats. What his hobby was I never found out. I took my training from Mom and Dad and nine older brothers and sisters. By the time I was 18 years old, I had made five round trips to California and made all kinds of money (I thought), and then I was drafted into the Army on my 18th birthday. I didn’t like no part of that. After I came home I went to California one more time and got all I wanted of that. So I came back to Oklahoma and married a girl from guess where? Taloka Prairie. I took my buddy with me to buy my marriage license which cost $3.50. I had $3.25 so I borrowed 25 cents from him and got the license with the help of my Mama. We got her to go with us by telling her we were going riding around. She had her apron on and didn’t want anyone to see her in the courthouse, so they let me take the marriage license down to the car for her to sign since I wasn’t 21 years old. I drew my 52-20 veterans unemployment until it ran out. Pat, my wife, was working and I never had it so good, but all good things must come to an end. I got a steady job with Public Service Company and worked in Stigler. I bought a car, on payments, bought a home, on payments, had four kids, on payments, and got ten dollars every two weeks to spend any way I wanted to. We lived high on the hog, I thought. ’Course when I started to work I had 12 dollars in my pocket, so I was way ahead of that all along. I never got to be president of the company or even on the executive board, but I got to do all the good healthy work outside — too hot in the summer and too cold in the winter. But, Mama said to keep that ole money rolling in and we survived, and I made a lot of friends and met a lot of people, and I guess I would do the same thing if I had it to do over again. I had an intestinal operation in 1975 and then worked another five years and had to retire on disability. 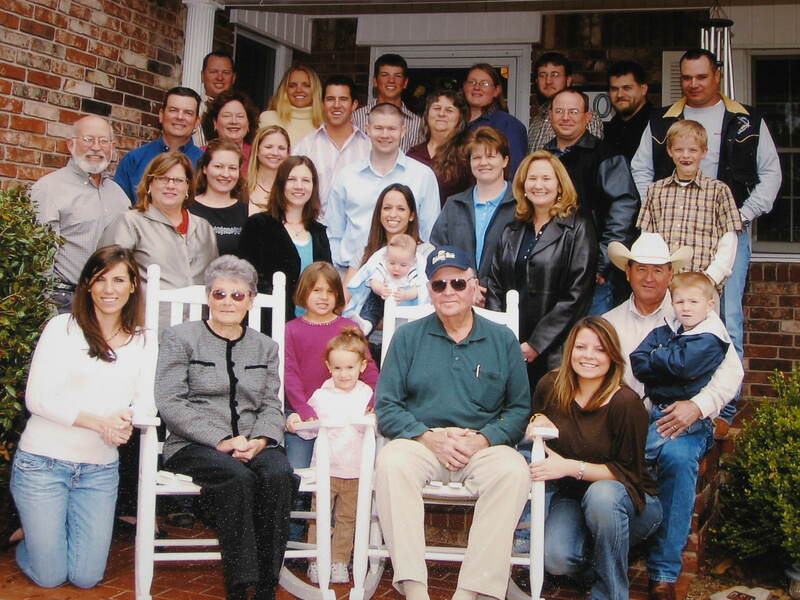 Our children are all grown and married and we have 11 grandchildren and 13 great-grandchildren. I haven’t done a lick of work since I retired. I go to the mail box every day to see if my check is in, eat all I can catch and get Mama to cook, so I have no complaints or regrets. His writings are full of understatement and humility, which was belied by the enormous attendance at his funeral and the collective mourning the whole town went into (along with people all over the world who knew him) when he died. The chapel at Mallory Funeral Home was standing room only with several packed spillover rooms. People joked that they’d never had to show up at a funeral an hour ahead of time just to get in. 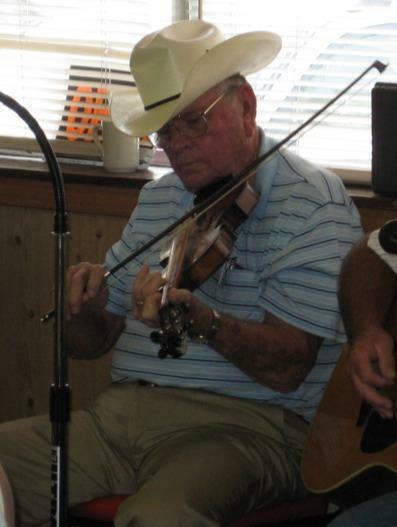 There’s a group of men that Grampa played fiddle and sang with every week, and they played and sang old gospel and Bluegrass tunes throughout the service. The whole family came, from wherever they were. Mom had made a video of old family photos for Grandma and Grampa’s 60th wedding anniversary four years ago, and it was played again during the funeral. But Mom had her way, and Grampa was buried in the kind of collared shirt he wore to church and family events. There was a little drawer built into the lovely oak casket, and several of us sent him to the next world with notes of love. After the service we went out to Garland Cemetery, a beautiful spot deep in the countryside, where he was laid to rest beside his oldest son, Mike, who died too young in 1989. It was a beautiful partly cloudy day, and I wouldn’t have wanted to be stuck in the traffic behind the massive funeral procession. Back at Grandma’s house, we hung out in Grampa’s room, which still felt thick with his presence. He had the old mirror made from a mule yoke, three cowboy hats on a rack, an enormous wall of Western paperbacks, the random ceramic boxing kangaroo he’s had since time began, a photo cube of happier times with green grass and horses, and his carvings and drawings decorating the walls and shelves. And of course several framed photographs of his wife. One of my fondest memories of Grampa was when I was maybe five years old and he showed me where he kept his soft old handkerchiefs in a drawer and said I could have one if I ever needed it. I felt so rich to know such a treasure was mine for the taking. I opened the drawer where he keeps them and took out one last soft red handkerchief, a token of innocent and unforgettable times. It’s a beautiful life, and we’re all so lucky to have him in it. He’ll always be a part of us. May you rest in infinite peace and love. We'll always miss you. 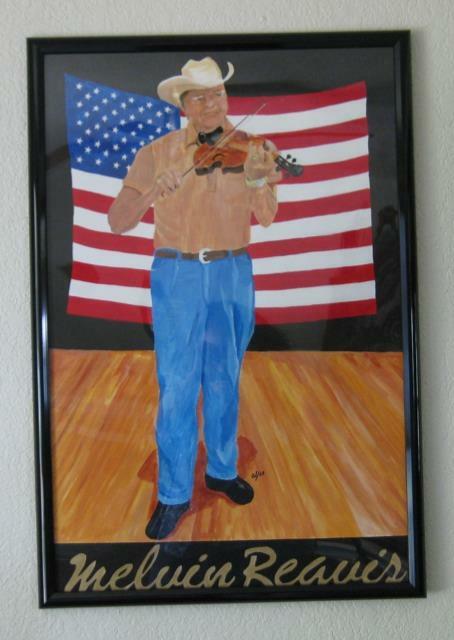 A portrait Mom had made of Grampa. He loved it! 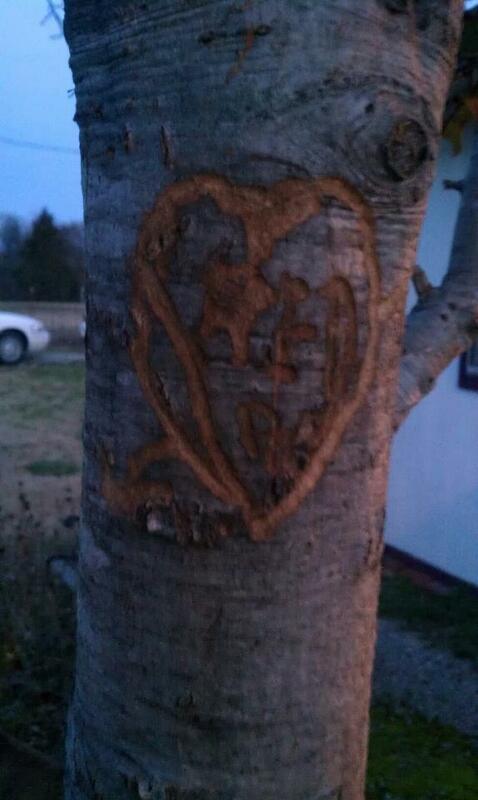 This was carved in the tree outside their house. Red and Pat. An epic romance. 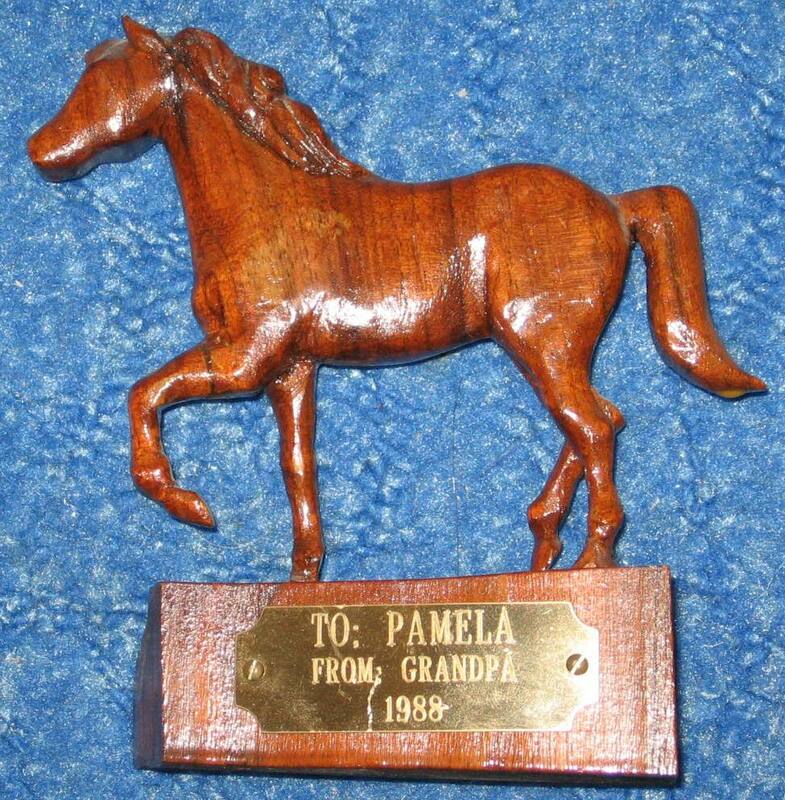 The first carving I ever got from Grampa, when I was 8. 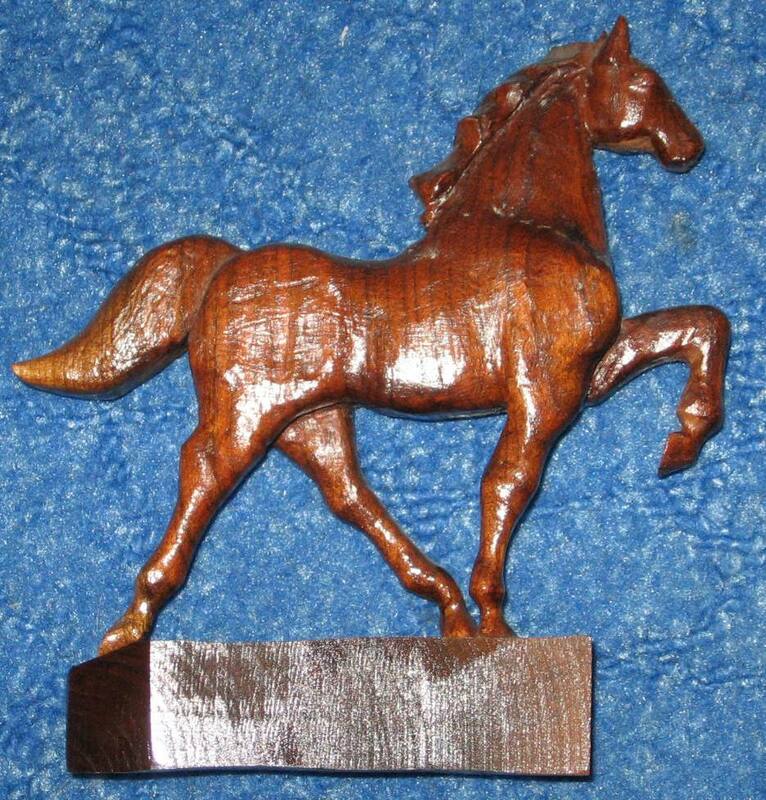 I named it after one of his horses, Lucky. The carving I coveted for years before I finally dared to ask for it when Grampa said he had too many carvings on his hands and asked us to take some. I could hardly believe my luck. Except to say this pain is real. Lost a loved one, was not prepared. Good to know so many did care. Jesus and country, family and friends. Stood strong before us ’til the end. Whine of a fiddle, harmonica bliss. Santa, horses, mules, and bovines. And here’s a song that was played at his funeral. It was written by Albert E. Brumley, a cotton farmer from Spiro, Oklahoma, in 1929 (when Grampa was two years old). From Red and Pat's 60th wedding anniversary with all the kids, grandkids, spouses, and great-grandkids. While we were playing in the front yard during the celebration, Grampa nudged Grandma and said, "Can you believe we did all that?"